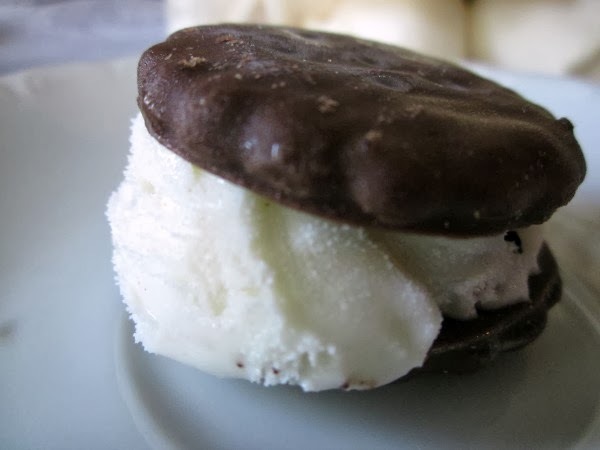 Since it's Girls Scout cookie time, thought I'd remind you of this delicious idea, make them into an ice cream sandwich. My favorite is mint chocolate chip ice cream in the middle ~ extra minty! 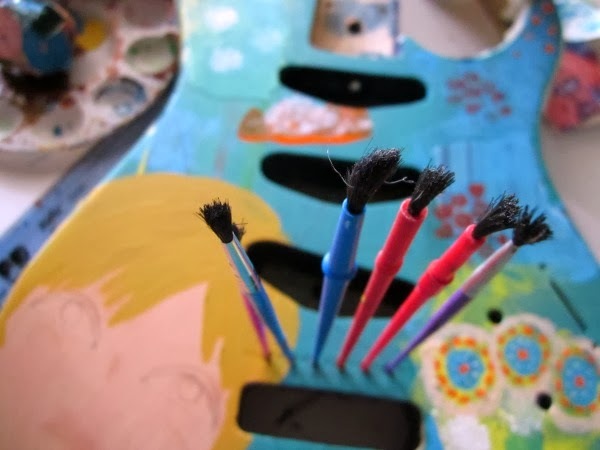 This was part of my process painting a guitar for a friend. I had to put paint brushes in the holes to keep the paint from clogging it up. 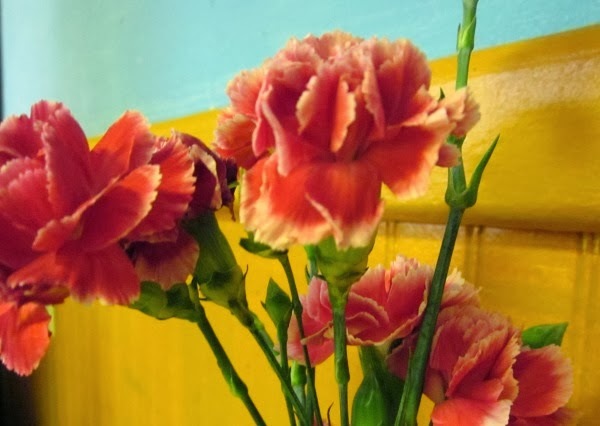 These flowers are from a darling little Thai place my sister and I love to visit. It's got the yummiest sticky rice and mouth-watering Pad-Thai. I had fun discovering these past moments in my archives. It was a nice walk down memory lane. Do you enjoy browsing old photos? Are you a scrapbook keeper? I'm terrible at scrapbooking, maybe that's why I keep a blog ~ my virtual scrapbook. I love Mint Chocolate Chip ice cream. I started a scrapbook for my boys a few years ago and that was the last time I added anything to it. I'd better get busy. lol. 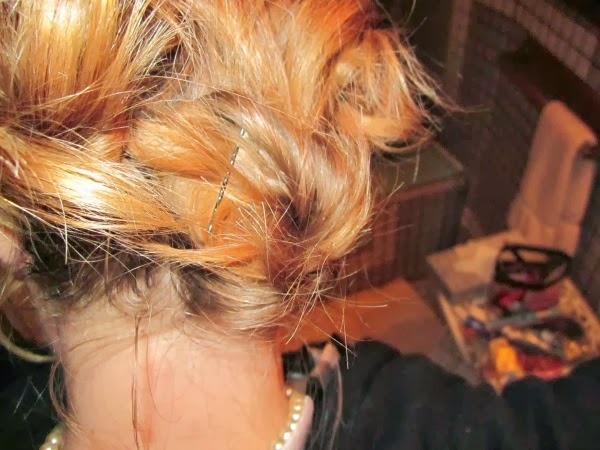 Your hair looks cool pinned up. Angela, I'm with you on loving mint chocolate chip ice cream ~ it's my absolute favorite! I understand the starting and not finishing; I was a great scrapbooker BEFORE kids, haha. And thank you, I'm hoping to get back to playing around with my hair as it grows out (if I don't give up and chop it first).